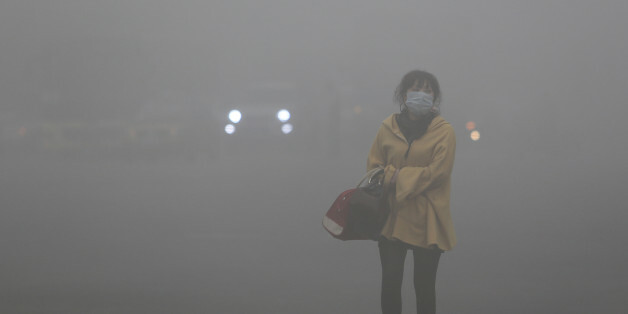 BEIJING -- The Japanese paper Nikkei recently published a report on China's environmental pollution. I was shocked and dumbfounded by the sensational headline -- "China, A Perishing Nation Amid Environmental Pollution" -- written with an intention to grab readers' attention. Some in China now seem to believe that "China has become powerful enough," but in my opinion, China is actually a country with both strengths and weaknesses, and one weak aspect is the environment. It is no exaggeration to say that China is an "environmentally weak country." "Environmentally weak country" may mean that China's ecological environment has become fragile and the environmental issue is "weakening" China. Let's look at the truth in this claim -- but also what the government is doing about it, which gives us cause for hope. First, environmental pollution is "weakening" the health of the people. According to the World Health Organization, the number of cancer patients and deaths because of lungs, stomach, liver and esophagus diseases accounted for 30 percent, 40 percent, 50 percent and 50 percent of the global total, respectively. One culprit behind the figures is reportedly the deteriorating air and water pollution. Second, environmental pollution is "weakening and undermining" China's prowess in science, technology and wealth. Some people have reportedly emigrated or are considering moving to foreign countries due to environmental pollution, food safety and their children's education. The talent outflows will lead to immeasurable losses to China's development of science and technology. The Hurun Report issued at the end of 2013 described the immigration waves in the past few years as "the third immigration exodus in China's modern history," and pointed out that "the rich and the elites with higher education constitute the mainstream of the emigrants." Third, environmental pollution is "weakening and undermining" China's economy. According to an authoritative estimate made by the World Bank, the Chinese Academy of Sciences and the State Environmental Protection Administration in March 2007, the annual losses caused by environmental pollution amounted to about 10 percent of total GDP. The good news is that the Chinese government is on high alert over these issues and has made environmental protection one of its top priorities and taken concerted actions to seriously address it. China cannot afford to become an "environmentally weak country," nor could it take the so-called road of "destruction amid environmental pollution." Instead, China has charted an ambitious plan for environmental protection, with an aim of bringing the blue sky and white clouds back to the country, and giving special attention to environmental protection in the construction of a modern, prosperous and rich socialist country. The government underscores the importance of environmental protection by incorporating it into the annual national socioeconomic development plans. It has designated about 20 percent of its territory as ecological zones and land and marine zones with sensitive and fragile ecological systems as the "red zones for ecological protection." It also makes officials' efforts in environmental protection as one important evaluation of their work performance, and those officials, whose decision-making has caused environmental damages, will be held accountable for their decisions. The government has adopted specific action plans on the prevention and improvement of air pollution, particularly serious smog in some parts of the country. The plans gives priority to "big cities and regions plagued frequently by haze," and underscores the "adjustment in energy structure, gas emission controls and dust prevention." China is also working to increase the proportion of nuclear power (15 reactors now in operation and 26 reactors under construction), natural gas and renewable energy in the consumption of primary energy, and is promoting the clean use of coal through constructing several demonstration thermal power plants with "almost zero emissions." But the environmental issue in China is not an isolated case, and is a component of the overall global picture. Extreme weather and droughts occurring in China are also the results of global warming, which is a common challenge to all humanity. China has signed several international conventions relating to environmental protection, such as the United Nations Framework Convention on Climate Change, and has strengthened cooperation with other countries and regions and international organizations in the field of environmental protection. In July, China and the United States held a dialogue on climate change policies within the framework of the China-US Strategic and Economic Dialogue, and signed the EcoPartnerships Plans. It is believed that growing and deepening China-US cooperation in environmental protection will play a positive role in alleviating the global environmental issues. China is also working hard to improve the awareness for environmental protection among the public and to vigorously develop the environmental protection industry. Across the country, the public is taking and ever greater part in activities for environmental protection. The environmental protection industry is witnessing rapid development, and the output value of the industry is expected to hit 4.5 billion yuan by 2015, with an annual growth rate of more than 15 percent. The government is also promoting energy conservation and emissions reduction and speeding up pollution treatment, and this will give rise to a tremendous market for energy conservation and environmental protection, bringing enormous opportunities to businesses from both China and the world. The Chinese government and the people will not cease their efforts until the battle to protect the ecological system and the environment is won. China won't allow the environment to weaken the nation. 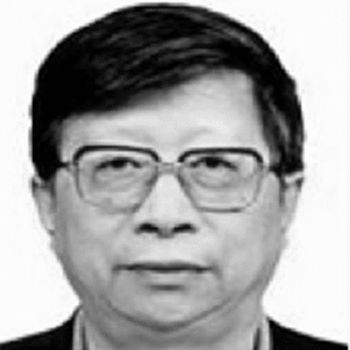 Feng Zhaokui is an honorary academician with the Chinese Academy of Social Sciences. This piece was previously published by China US Focus.